PUNE: Force Motors, the Pune-based automotive company, is now ready to foray into the business of engine manufacturing in partnership with a Rolls-Royce subsidiary. The company today announced signing an agreement with MTU Friedrichshafen to domestically produce MTU's renowned 10 and 12-cylinder Series 1600 units with power outputs from 545 to 1050HP (400 to 800 KWm). 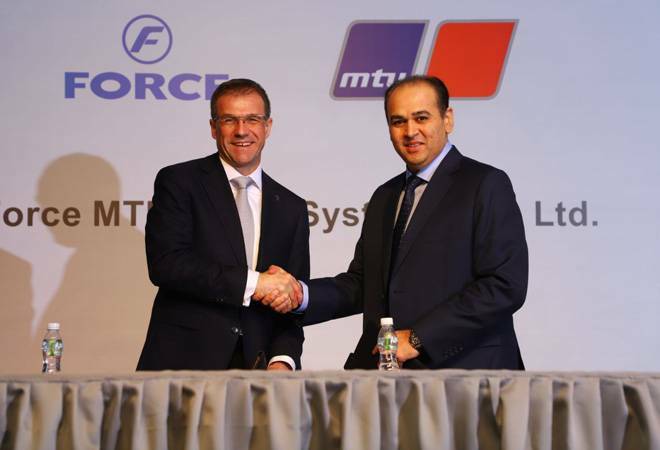 The new joint venture (JV) will be named 'Force MTU Power Systems Pvt. Ltd.', and Force Motors will hold 51 per cent of total equity shares while the remaining will be with MTU. The Germany-based arm of Rolls-Royce Power Systems AG is one of the leading manufacturers of large diesel engines, propulsion and drive systems for heavy applications such as rail, land, and defence vehicles along with marine applications. Overall, the parties are investing more than Rs 300 crore in the JV in proportion to their respective stakes. "Each party will have equal rights to appoint directors. Capital contribution will continue in the ratio of the agreed proportion," said the regulatory filing. "In Force Motors we have found a reliable partner whose excellent production quality is proven by decades of experience in building engines for premium automotive brands," said Andreas Schell, President and CEO of Rolls-Royce Power Systems in a statement. "Our joint venture combines the strengths of the two partners: Rolls-Royce Power Systems' cutting-edge technology in reciprocating off-highway engines and Force Motors' long-standing experience in top quality manufacturing, with access to the Indian market. For us, it's the perfect fit." Plans include building a state-of-the-art, dedicated manufacturing facility at Chakan, near Pune, which is to operate as a stand-alone enterprise. The new factory is expected to launch serial production by the third quarter of 2019. Apart from manufacturing engines, the factory will also build Series 1600 generator sets for the Indian and global markets. The latter, built and supplied to customers in India, Nepal and Sri Lanka, will carry the 'Force - MTU' brand and the JV will handle sales and service side of things. On the other hand, generator sets to be exported to the rest of the world will be sold under the name 'MTU Onsite Energy', and Rolls-Royce Power Systems will handle sales and service. The engines will continue to carry the brand name MTU. MTU had launched its Series 1600 engine family back in 2009 and now has thousands of units in service. Renowned as a state-of-the-art engine with common rail injection, turbocharging and electronic control, it is well-established in the market for power generation and rail applications. "Once serial production capabilities for 1600 units have been established within the Joint Venture, we will have opportunities to add other applications, engines and power systems to the JV portfolio," added Schell.